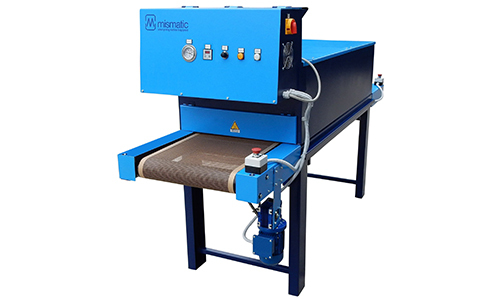 The infrared (IR) dryer model M265 has been designed and built with the aim to give a reliable help to all the printers who need to dry few items daily (small and medium productions) but do not want to buy a cumbersome, expensive and power-hungry equipment. 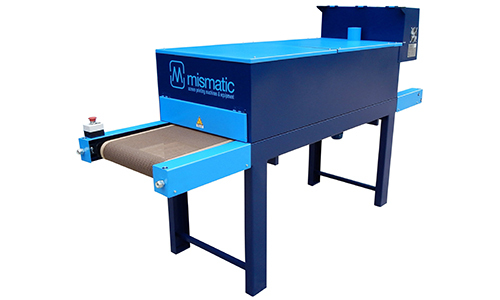 Due to the latest generation technology, this dryer can dry the printed items using only 3.2 kW: high efficiency standard with very low cost. It is suitable for all the carousel manual screen printing machines, digital printers for fabrics and screen/pad printing machines for promotional articles.